Our good friend Anders Frejdh, webmaster of the amazing From Sweden With Love website, alerts us to a special James Bond Weekend in Stockholm for the benefit of UNICEF Sweden. The weekend will include loads of James Bond stars and special screenings of the new 4K digital versions of the Bond films from Park Circus. Also, Sanchez sings Sinatra! The weekend is set for September 19-21, 2014, in Stockholm, Sweden. 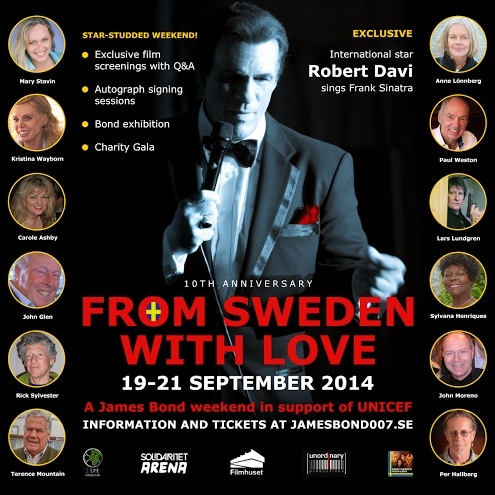 For more information and tickets, please visit From Sweden With Love.